Saint Honore is a low-rise property inspired by the classic architectural designs found in Rue Saint-Honore, a historical street in Paris. With a striking and elegant façade, the new residential tower will emanate timeless luxury, comprising only of 168 units ranging from studio to executive 2-bedrooms. 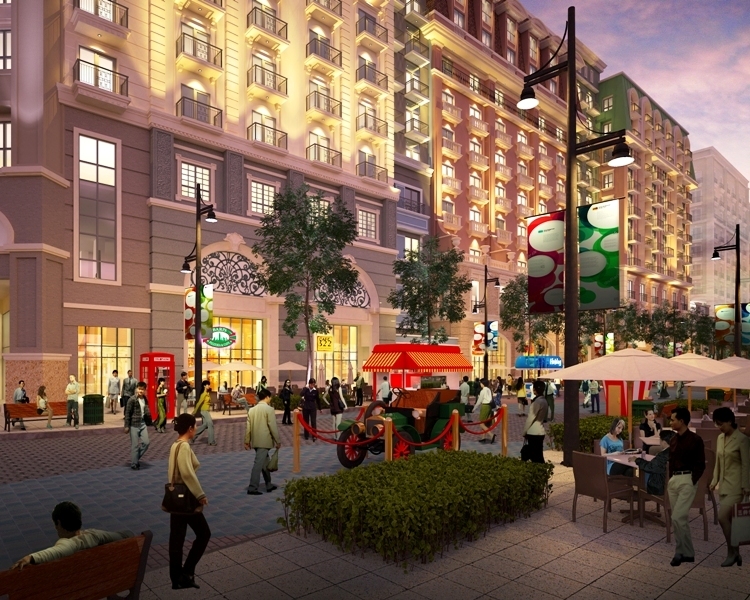 Select units will have its own lanai or balcony with a magnificent view of the township or Iloilo skyline. 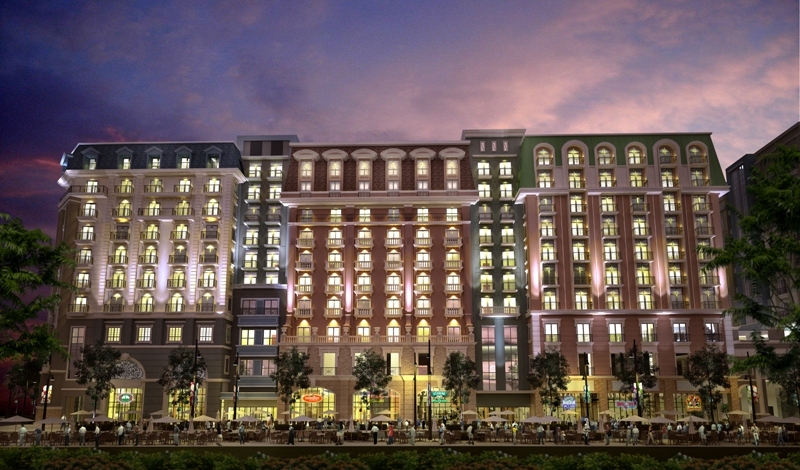 The property will have its own lifestyle amenity deck on the third floor composed of a swimming pool, a pool lounge, a kiddie pool, a Jacuzzi, function halls, and a fitness center. The atrium, located at the ground level, will serve as the centerpiece of the development, replete with garden landscape with trellised seating, while a strip of boutiques and retail shops will border the ground floor area of the property. During the official launch of Saint Honore, a 3D mapping lights show will be projected onto the Two Global Center building, in front of Richmonde Hotel Iloilo, starting at 8 pm. While there, they can also enjoy alfresco dining at the township’s newly-opened restaurants such as Cable Car, Farm to Table, and DoVa Brunch Cafe. Aside from the light show, the night promises a fireworks display, music performances and more. There’s a special treat for those who will purchase a Saint Honore unit on Saturday night. 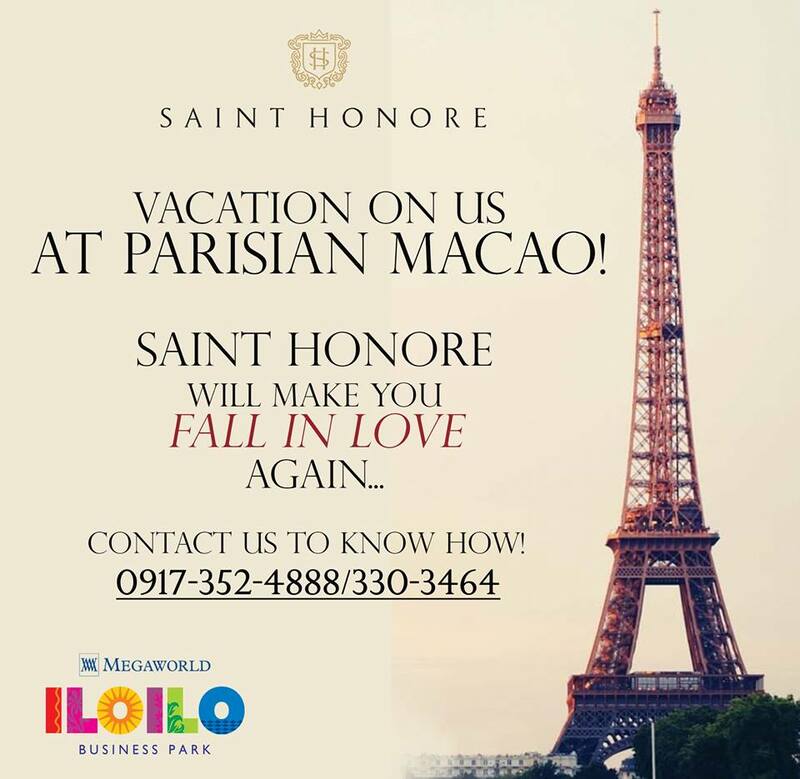 Roundtrip airfare tickets for two heading to Macau plus 3D/2N stay at The Parisian Macao await those who will buy a two bedroom Saint Honore unit. Paris is one of my favorite city to visit.